iOSnoops is constantly on the lookout for great deals, and here are 64 iPhone and iPad apps that have just been discounted. 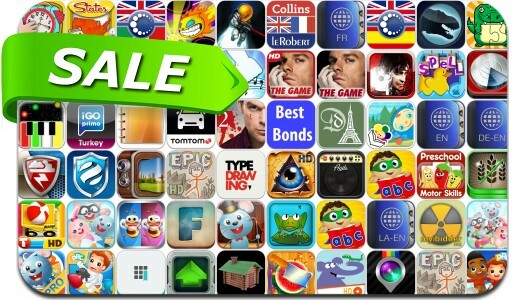 This app deal alert includes Draw a Stickman: EPIC, Storm Shield, MoneyWiz, TypeDrawing for iPad, Simply Find It Pro, InstaPlace, Capzule PHR, AmpKit+, Fluke, Panorama 360 Cities, Arrows XD, Smash Mania, Capsized+ and many others. Capzule PHR – Your Personal Health Record.